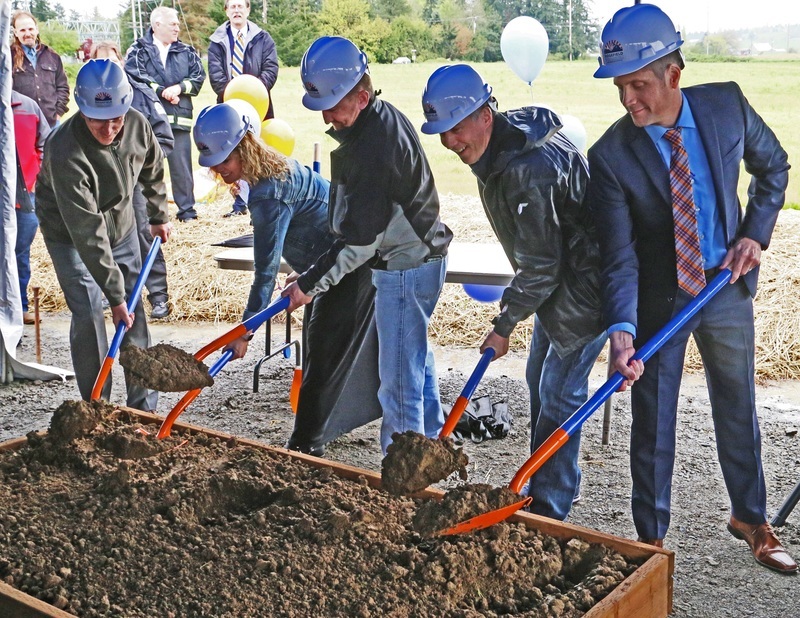 Even though the weather was less than ideal, it was clear that rain wasn’t going to dampen the spirits of the crowd who gathered yesterday afternoon to attend the historic groundbreaking ceremony for Ridgefield School District’s proposed new 5-8 schools complex. Superintendent Nathan McCann welcomed honored dignitaries, school staff and community members to the construction site located on South Hillhurst Road across from Ridgefield High School. 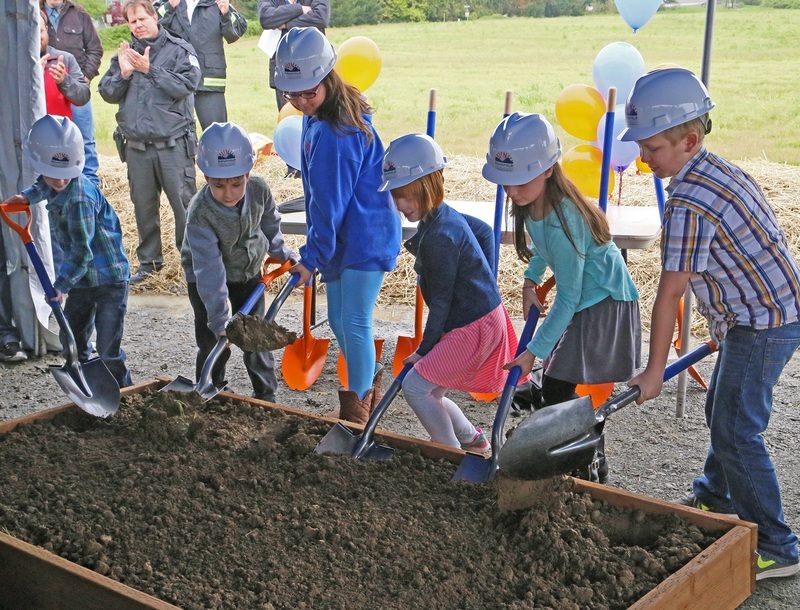 The groundbreaking ceremony officially kicks off the start of construction of Ridgefield’s new schools complex, a result of the hugely successful passage of the district’s 2017 bond in February. Guest speakers included Amy Draper, Co-Chair of the Capital Facilities Advisory Committee; Jim Maul from Citizens for Ridgefield Schools; Ridgefield Mayor Ron Onslow; Scott Gullickson, Ridgefield School Board President; and Pete Bartel, longtime Ridgefield resident who grew up on the farm that for decades once occupied the new school site. 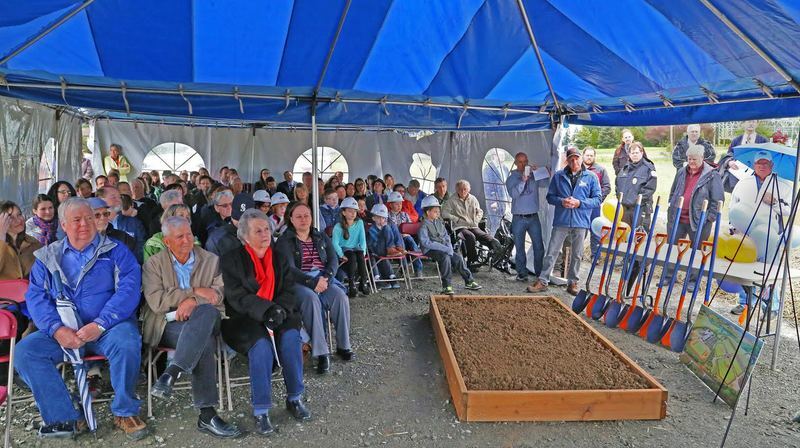 What made this ceremony extra special was the breaking of ground by six Ridgefield third graders from both South Ridge and Union Ridge Elementary schools. They will be among the first students to attend the brand new intermediate school as fifth graders at its scheduled opening in the 2018-19 school year. The students from South Ridge included Sanjana Bryant, Graysen Revord, and Gabriel Warren. Colin Hutton, Ella Rupp, and Liam Schafer participated from Union Ridge. 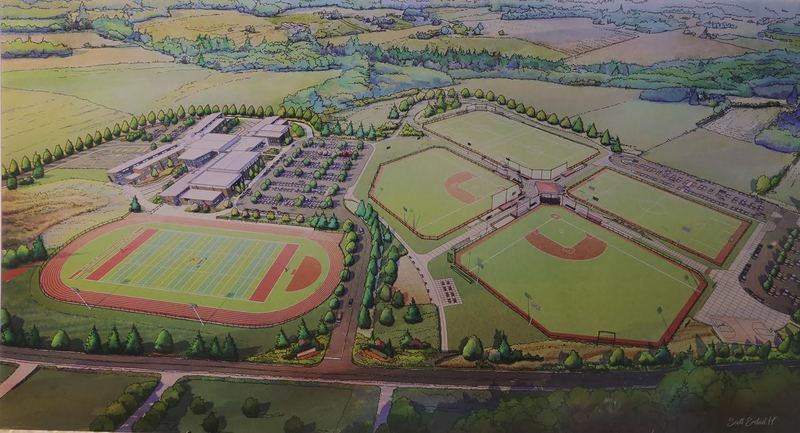 The district is grateful to the Capital Facilities Advisory Committee, Citizens for Ridgefield Schools, and the countless citizens whose efforts helped to shape the 2017 bond program, making this historic groundbreaking ceremony a reality.